The Hot Hats are one of the UK’s leading wedding bands. With over 4 hours of live music and a free tailored DJ service, a unique up-tempo sound of a full band, these wedding guitarists can be relied on to fill any dance-floor. Making sure you get everything you want for your special day the Hot Hats will work closely with you on the lead up to your event and ensure you get all your favourite wedding songs played. They can also provide a chilled acoustic wedding duo style set perfect to greet the arrival of your guests, or afternoon drinks reception. Playing hit songs from the 60s – 00s these two charismatic characters can unobtrusively socialise with your guests between sets, and with their compact set-up are suitable for an intimate wedding or large reception hall with a full sound that’s clear as a bell and conjure up an infectious beat to get you moving. Please review our testimonials, take a look at our live videos and listen to our music. 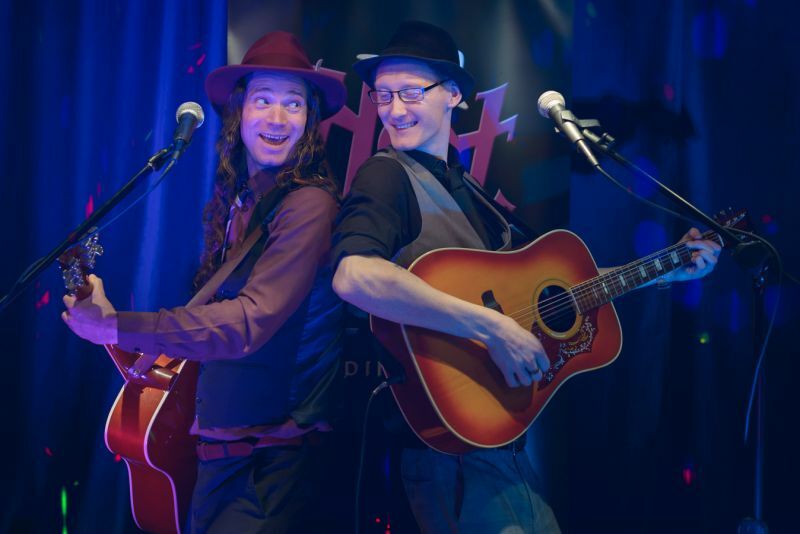 Put the icing on the cake with this top acoustic wedding band the Hot Hats!